Getting pulled over by a cop is bad, but getting pulled over by a cop who sees a screwdriver sticking out of the car’s ignition is likely to get you cuffed while they figure out who you stole it from. That’s what makes this hack so hilarious. 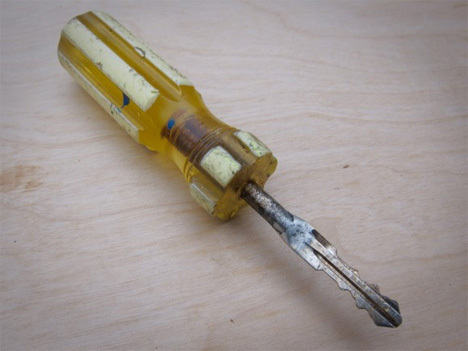 Nathan of HAHA Bird made an unholy union of a screwdriver and a copy of his car’s ignition key that makes it look like you’ve jammed a screwdriver into the ignition to start (or steal) it. 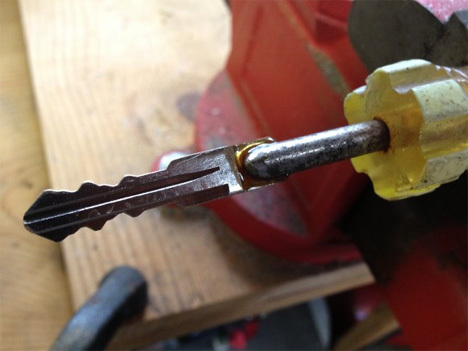 There were some basic metalworking skills involved, but nothing that couldn’t be achieved by the amateur workshop tinkerer with a healthy stock of tools. 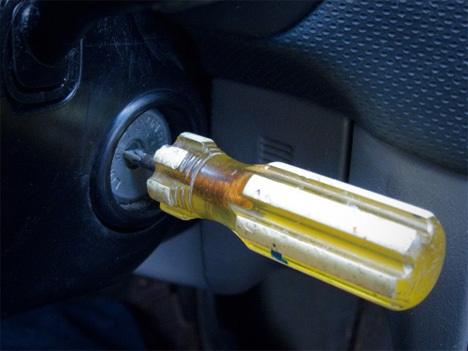 Unfortunately, it wouldn’t work for newer cars that have a chip in the key. For anyone interested in duplicating the “Drive It Like You Stole It” project, instructions are available over at HAHA Bird. But be warned: every time you get pulled over for speeding with this thing sticking out of your ignition, you’ll probably be treated to a complimentary police search. Unless you do some fast talking about how funny it is to look like you’re driving a stolen car, that is.